Posted by Equestrian Queensland on 16/08/2018. 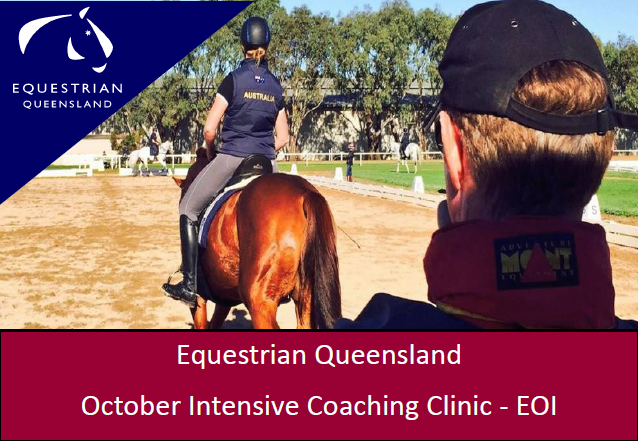 Equestrian Queensland is seeking Expressions of Interest (EOI’s) to attend a two day Intensive Coaching clinic in October. This clinic will be focussing on candidates being assessed in their practical coaching assessment slip for either their EA Introductory Coaching or EA Level 1 Coaching Certificates. EOI’s close COB Monday 3 September, email Sasha Ulasowski at [email protected] or phone the Equestrian Queensland Office on 07 3891 6611.